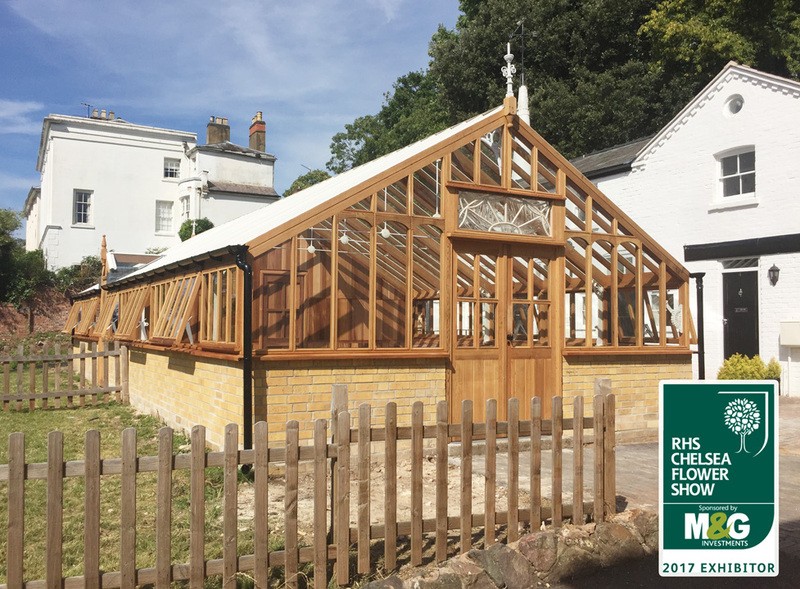 18 x 42 ft Bespoke Heritage greenhouse with inline porch. Cost £56,000 -price includes delivery and installation. 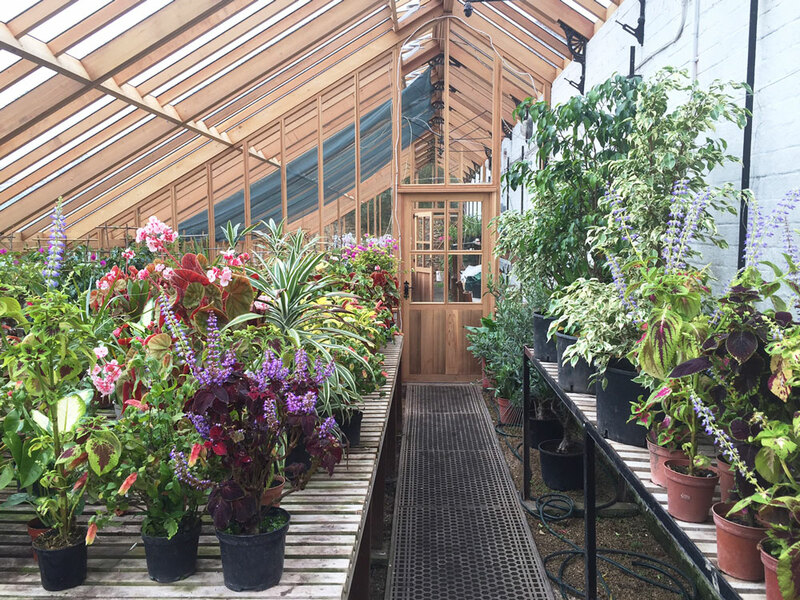 Since the eighteenth-century exotic plants, fruits and flowers have been imported by explorers and travelers from all over the world into our cooler northern hemisphere. 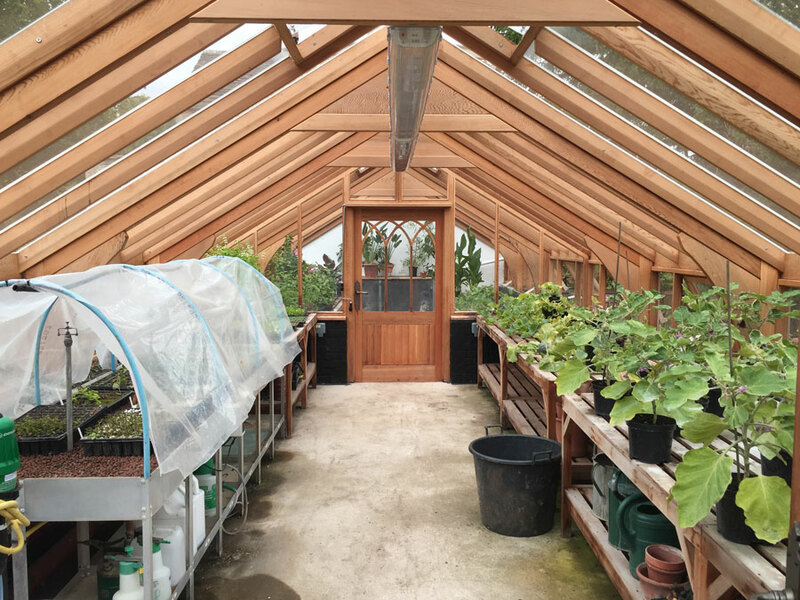 The aspiration to cultivate such species dates back to the 1800’s and a basic structure being designed to shelter and tender young plants. Due to the costly materials and manufacturing involved, such buildings were limited to the likes of aristocracy and wealthy landowners. 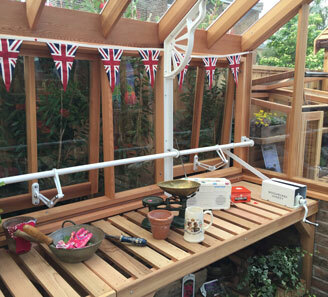 In time, through research and development, the early glasshouse was produced. 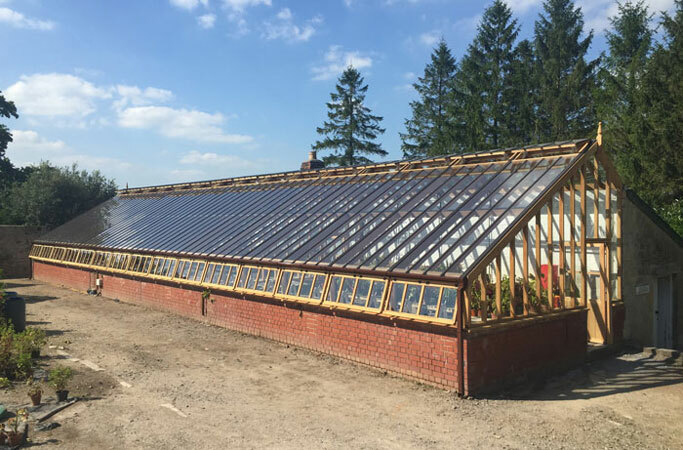 In 1858 Messrs Messenger & Co – Horticultural Builders and Hot Water Engineers were established with the likes of Boulton & Paul Ltd in 1864, and due to popular demand, many more glasshouse producers to follow between 1870 and 1890. The popularity and nation’s love of gardening was born. 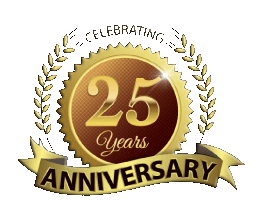 Our Celebration In celebration of our 23rd year in British manufacturing, recognition to history, and our nation’s love of gardening we are proud to introduce our unique Heritage collection of glasshouses. 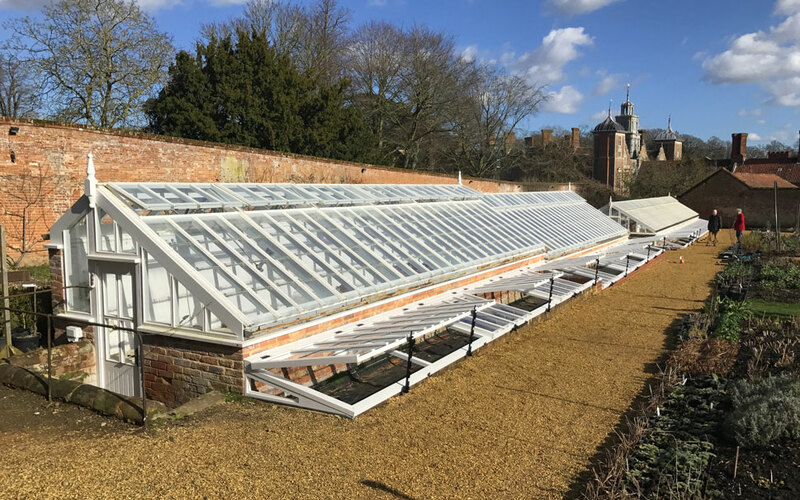 The Heritage Glasshouse Inspired by the original Messenger & Co glasshouse, we have created replicas for such recognised bodies as The National Trust, together with various listed buildings of historical importance and gardens of England. The Heritage has been created for the most discerning. 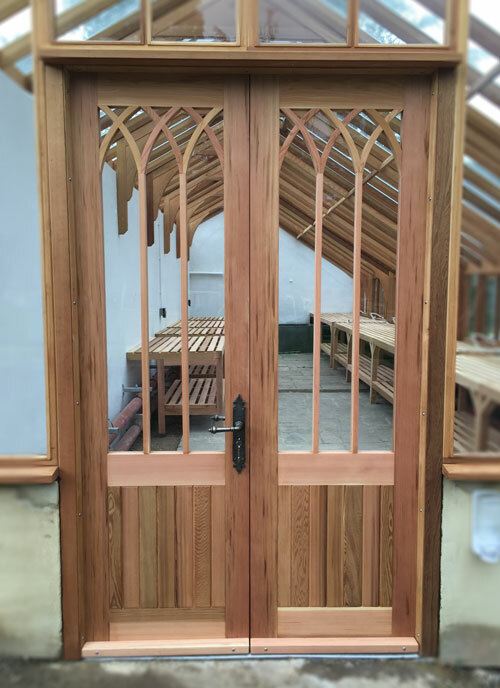 Our western red cedar is tight grained, heartwood which is supplied by members of the Timber Federation who recognise the responsibility and importance of the quality of timber they supply. In addition, all of our timber is PEFC certificated and therefore legally and sustainably fell, protecting the forests and supporting communities for future generations. 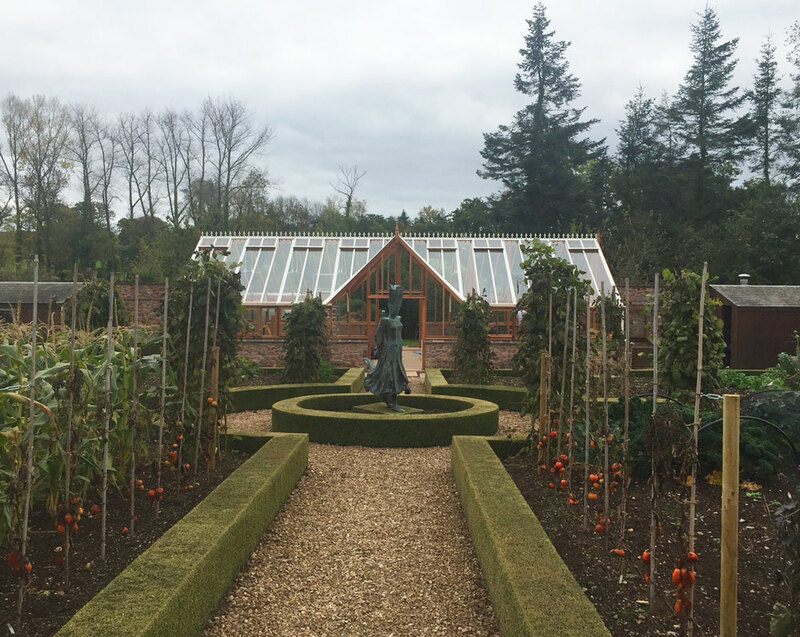 The glasshouse features gothic style doors, handcrafted sculptured supporting frames and chamfered rafters. 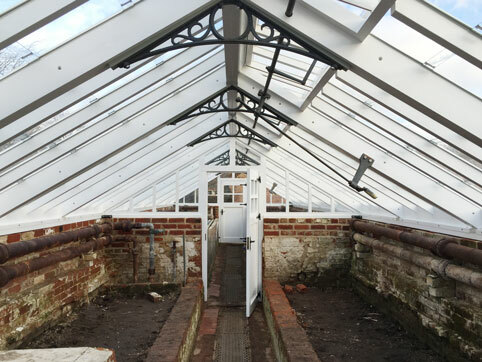 In keeping with the original Messenger and also Boulton & Paul glasshouses we include a mechanised roof and side ventilation system, with Victorian style ironwork fitted throughout to maximise the strength of the glasshouse. 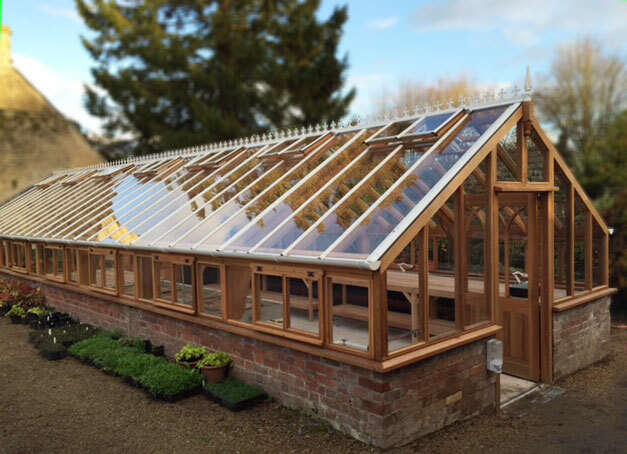 Each glasshouse is individually handcrafted and made to your exact specification. 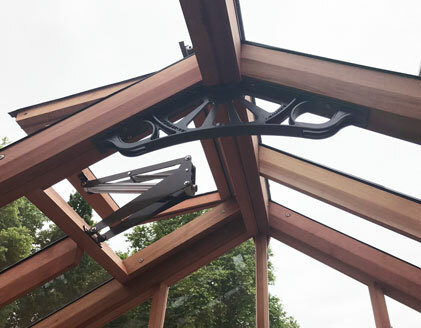 Having our own in-house design team enables us to produce drawings and assist with any aspect of listed building consent and approval you may require. 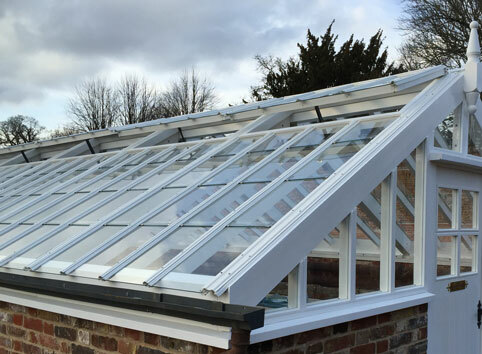 Bespoke Heritage Glasshouse 14ft x 44ft fitted with white maintenance-free roof system and white aluminum gutter. cost £49,995 inc vat. 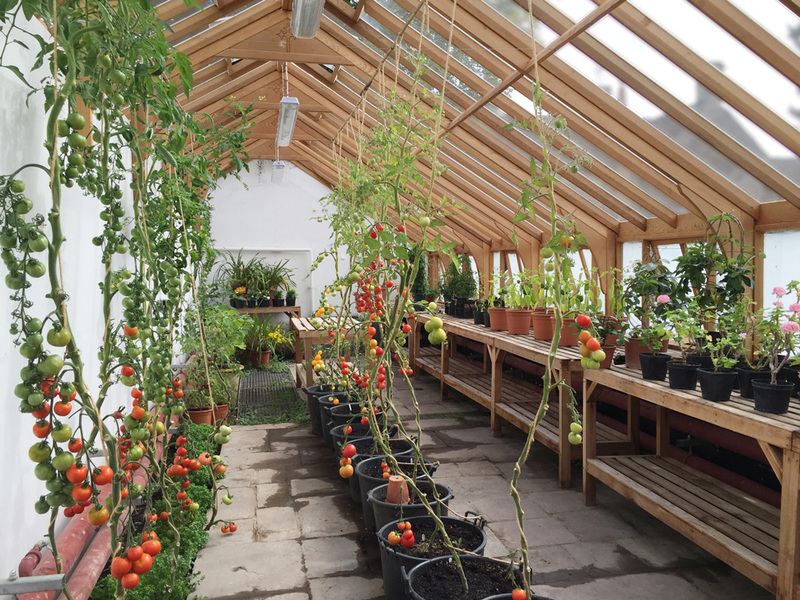 A custom designed manual casement window system allows complete control over growing conditions within the greenhouse space. 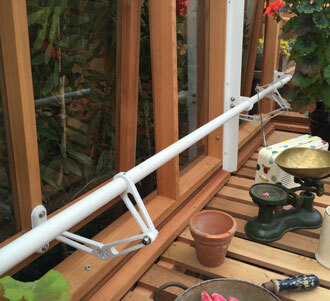 The linked lever system opens all side casement windows simultaneously, saving time and increasing growing space. 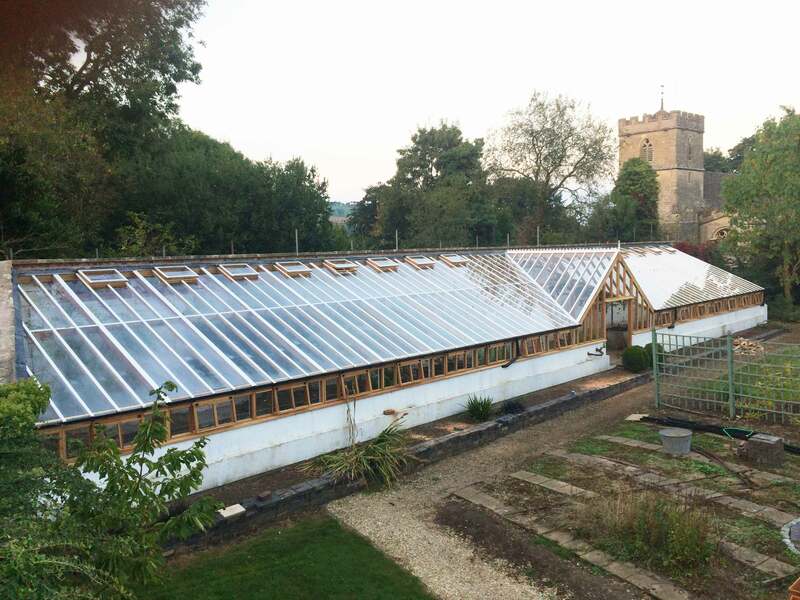 Bespoke Heritage Glasshouse 8ft x 12ft fitted with Sage Green maintenance-free roof system and aluminum gutter. 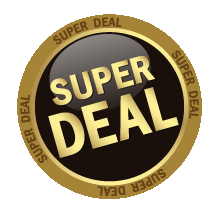 cost £13995 inc vat. Exc. Coldframes. 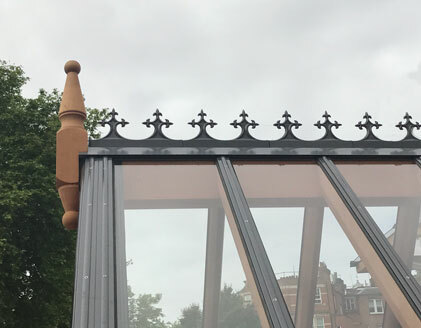 A Heritage greenhouse fitted with black painted tie bars and haunches, in keeping with the Thomas Messenger design style. 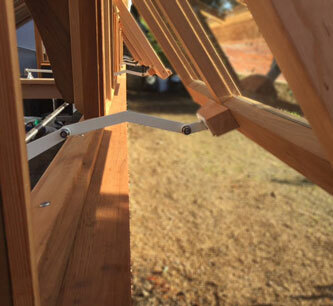 The oversized timber sections creating the framework of the building are individually chamfered and hand sanded on all faces to ensure a superior standard of finish. 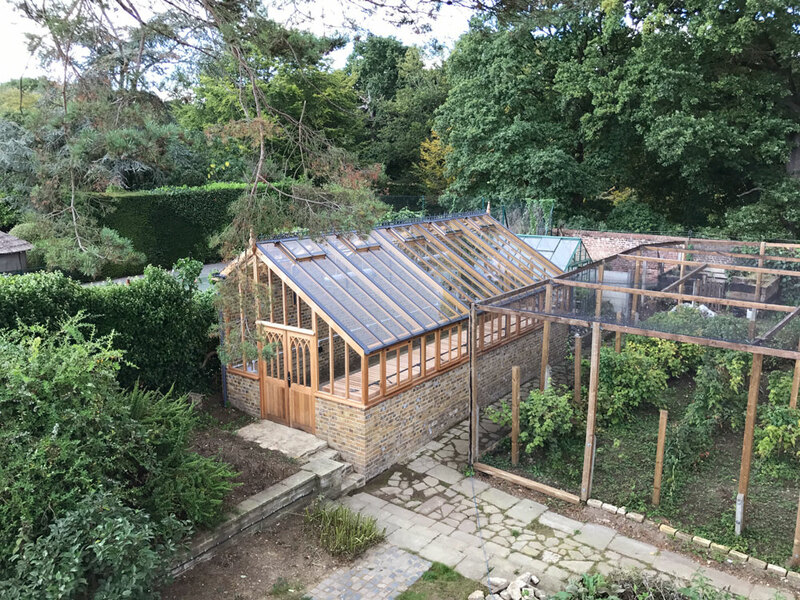 15ft x 100ft Bespoke Lean-to greenhouse, fitted with in-line porch. The design also incorporates the Woodpecker Heritage feature details. cost of £99,000 inc vat. 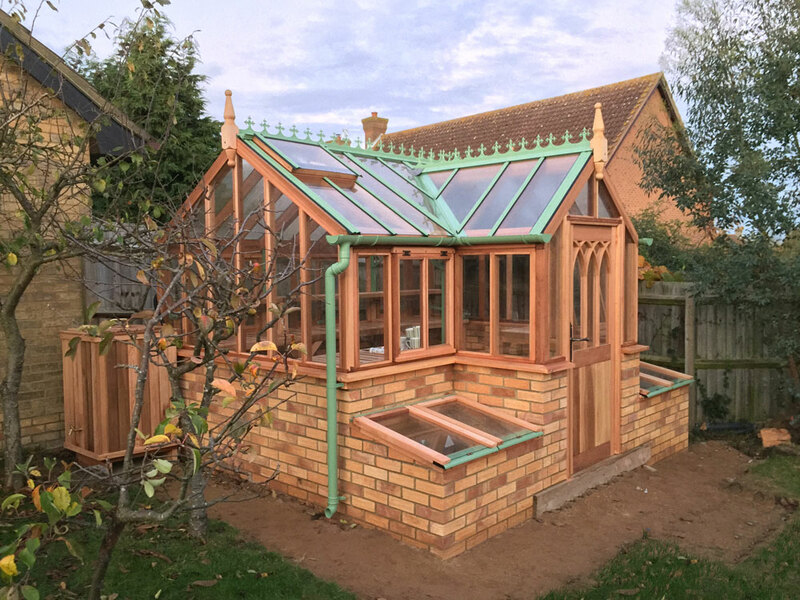 20ft x 40ft Bespoke heritage greenhouse, showing aluminium ridge cresting and flat dormer style porch. 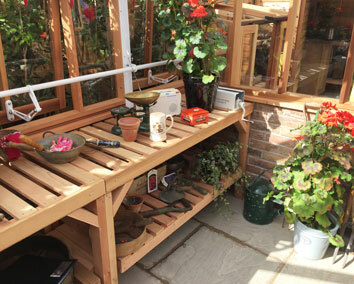 Interior of a Three Quarter Span Heritage greenhouse detailing a partition and decorative ironwork. 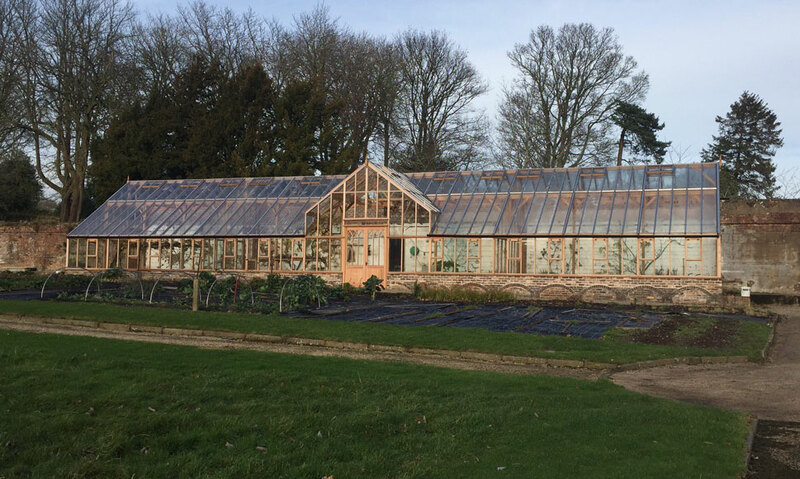 A three-quarter span Heritage greenhouse in Kent.